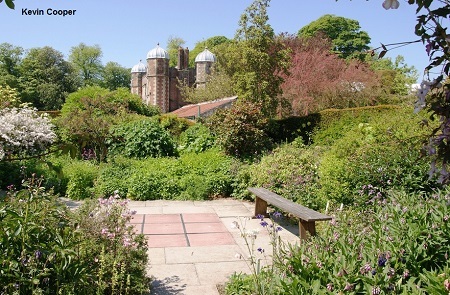 The Old Walled Garden at Burton Agnes Hall was redeveloped in 1989-1990 and now contains a large collection of plants.There is a potager with vegetables, flowers for cutting and herbs, herbaceous borders, a maze, fruit beds, a jungle garden with large leaved plants, grasses and bamboos planted in gravel, a campanula garden containing a national collection of campanulas, a giant knot garden with colour themes divided by trellis instead of hedges and each containing a paved area forming a giant game board. Please see the photographs below. 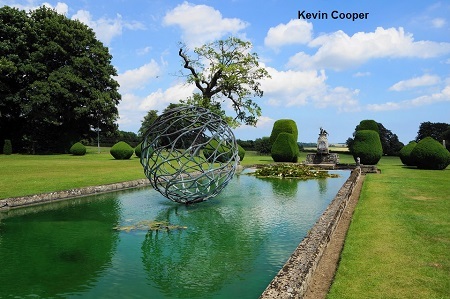 Surrounding the house are lawns with topiary yew, ponds with fountains and a recently constructed pebble mosaic. There is a woodland walk featuring wildlife sculptures. Snowdrop Walks normally in February. 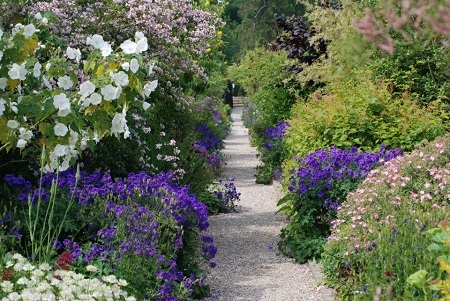 Gardens, shops and cafe open daily 11am-4pm. 2019 - Open: From April except for snowdrop season when garden is open on various dates in February and March. If you want to find places to stay near Burton Agnes Hall, why not stay in one of our recommended hotels. 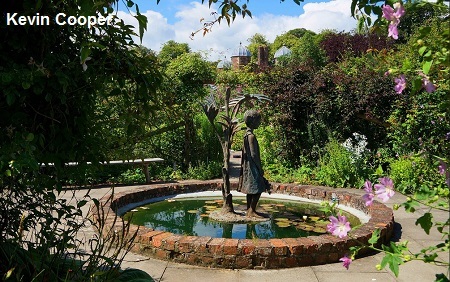 Look now for hotels near Burton Agnes Hall - click here.